This week, right after testing three out of my six grades that I teach... we are participating in stations. My second graders did potato stations...we planted potatoes and still have even more to plant! 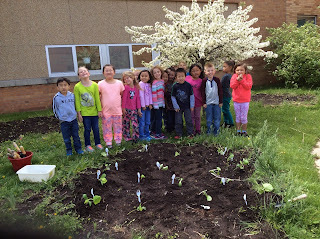 My third graders worked on echolocation stations...did we have fun playing Marco Polo style echolocation games as well as learning about animals that use echolocation through reading and watching some quick videos, but two of my favorite activities this week are planting our pumpkins that the kinder "gardeners" planted from seed. Now their babies are growing up and need more space. Take a look my little pumpkins in the patch! Working as a team, digging, and gently placing their plants in the hole, then making a hill to support the stem. I demonstrated and they did it all by themselves! One of my little pumpkins said, "It was the best day of her life!" 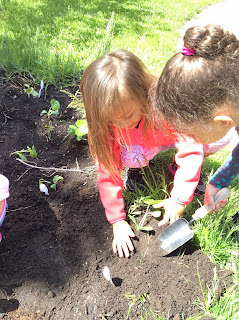 One little pumpkin said, "Now, we are really kinder gardeners!" I love the pride in their own pumpkin patch! This is why we grow a garden! We grow more than plants! The great thing about stations is that I allow my students to self pace, as well as set a grade goal for how many stations that they can complete. It is very exciting to watch them work harder when their "grade" is at stake. We set it up as a scale of 4, 3, 2, 1 and covert it so they understand if they have advanced, proficient, basic, or minimal. It really does motivate them and the 4's get to the front of the line regardless of line order! 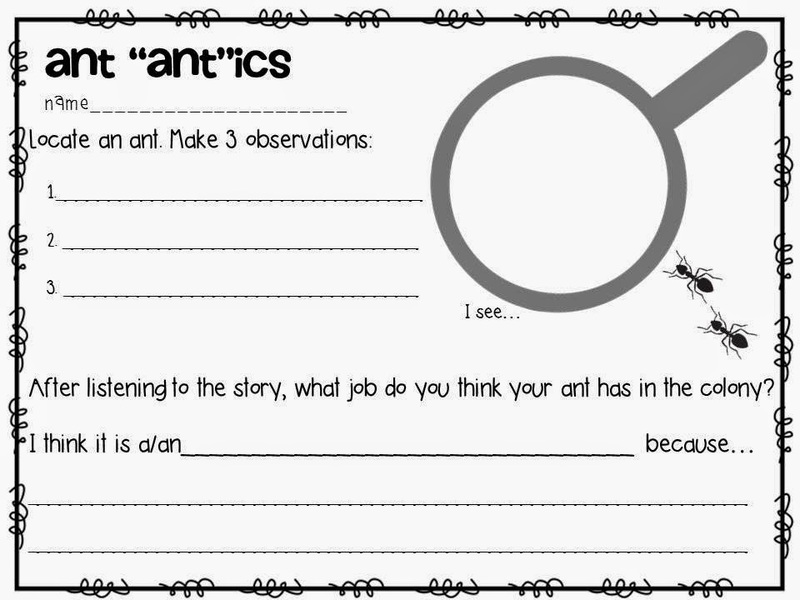 Here is an example of their ant station. We hit the mother lode! An ant colony with eggs, larva, and adults. We lifted the rock and wow whee did we watch them scurry to take the eggs and larva to safety! We then went back in to use the freebie I am including! Ant Antics Freebie is part of my Insects In And Out of The Classroom Pack on TPT. See the yellow clump...all eggs. Wish you could see them hustling. It was amazing to watch! 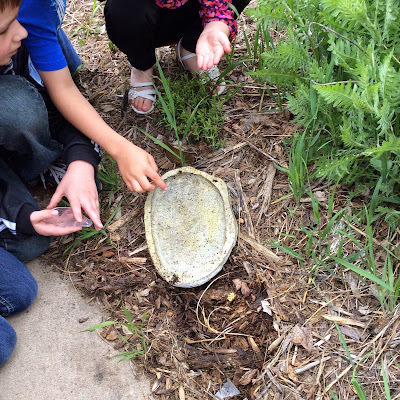 What great observations that students were able to be part of! Enjoy your antics whether you are out of school or finishing up the year!